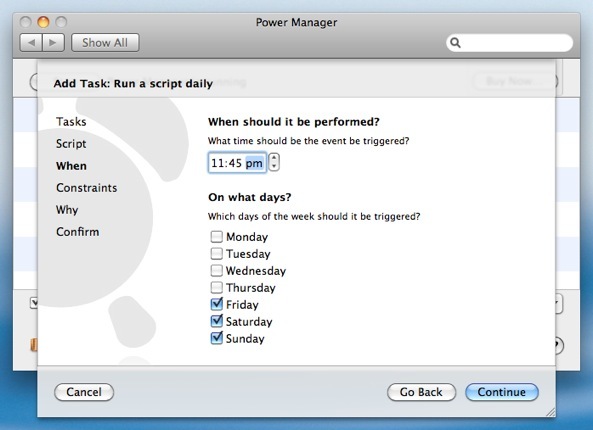 Yesterday, we looked at starting a PowerPoint presentation to a schedule using Power Manager. We used a small AppleScript to open PowerPoint and start the presentation playing. 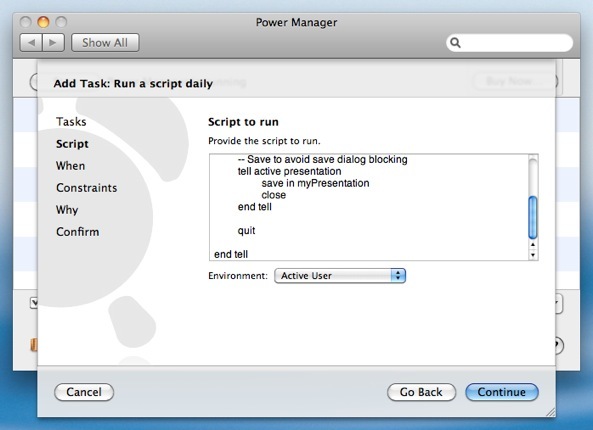 Today, we will walk through how to stop a Microsoft PowerPoint Presentation with Power Manager. As with starting a presentation, stopping the presentation will require a little AppleScript. 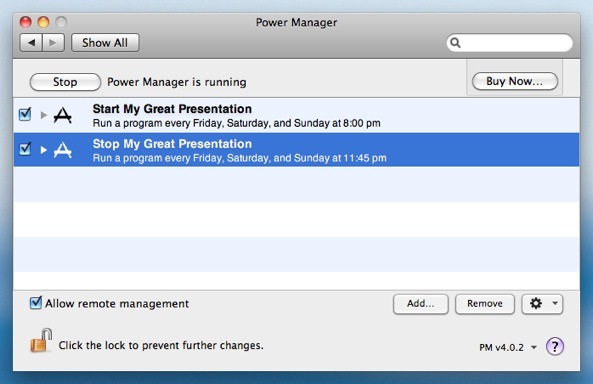 If you are using Power Manager to shut down your Mac at the end of the presentation, you should consider skipping this event. 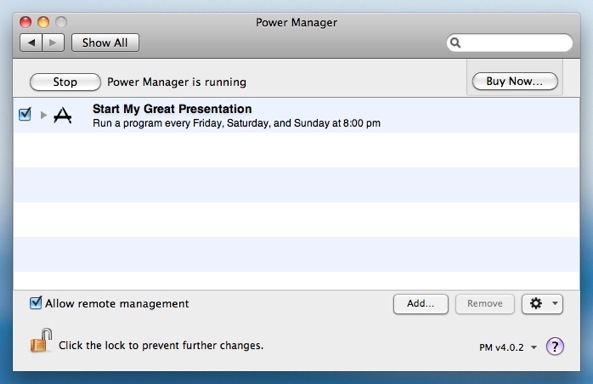 Power Manager's shut down process will stop the presentation and quit PowerPoint for you. For this walk through, let's assume you want to stop the presentation at a specific time each day but not shut down. Select the time and days to stop your presentation. Your event is now ready and scheduled. The event will run your AppleScript as front most user. 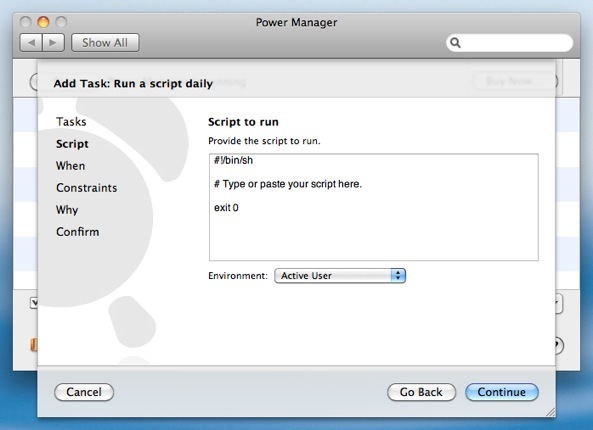 The AppleScript asks PowerPoint to exit the active presentation, save any changes, and quit. 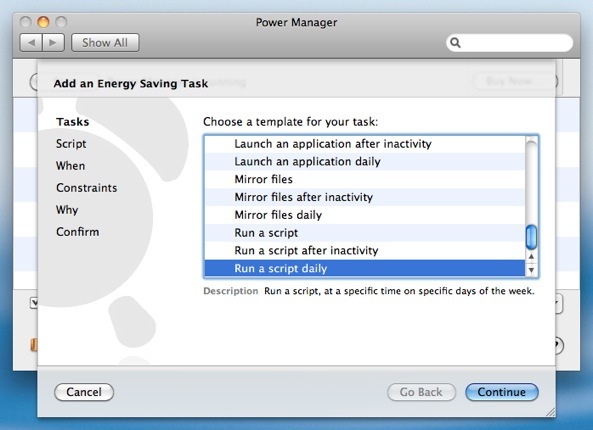 The save is required to avoid PowerPoint presenting a save dialog. This event is self-contained. The AppleScript is included in the event. You can freely share your PowerPoint controlling events with others via e-mail, without needing to rely on other files. This article was posted in PM4, Power Manager, and Recipe and tagged AppleScript, dssw, Power Manager, PowerPoint, and recipe.